The old Murray Royal Hospital building. A Scottish Government inquiry will determine the impact of new housing on congestion blackspots on the edge of Perth. The courtroom-style inquest is expected to explore how the Cross Tay Link Road will affect traffic in expanding communities such as Bridgend and Scone. The much heralded infrastructure project, which recently secured £50 million of Scottish Government cash, is intended to dramatically reduce congestion at settlements on the outskirts of the Fair City. But community watchdogs believe any benefits will be wiped out by the imminent creation of hundreds of new homes. 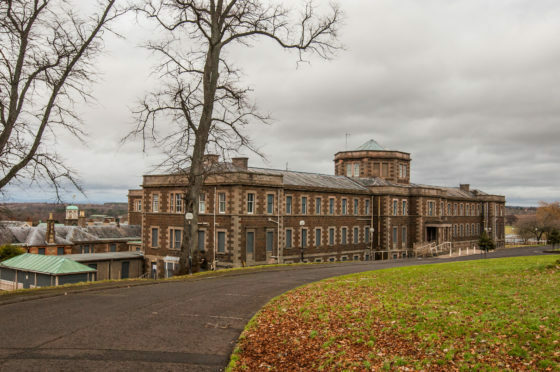 On Monday, Scottish Ministers set a date for a public inquiry to decide contentions plans for new housing at the old Murray Royal Hospital site. Reporter Dan Jackman, who will be lead the hearing, confirmed it will look at wider traffic issues including how the local roads network will be affected by the £114m River Tay crossing (CTLR), connecting the A93 and A94, north of Scone, with the A9 between Inveralmond and Luncarty. There are concerns that separate plans for 700 homes at Scone North and more than 50 properties at the site of the village’s Wheel Inn will exacerbate congestion and pollution problems at Bridgend. Developer Rivertree Residential wants to build 128 homes at the site of the former psychiatric hospital site at Muirhall Road. But the company complained to Scottish Ministers last year, when Perth and Kinross Council failed to make a decision on planning consent. The firm’s appeal effectively takes control out of the hands of the local authority. The week-long inquiry, to be heard in June, will look at significant concerns about a traffic assessment submitted by Rivertree which suggests rush hour queues could actually become shorter thanks to the new homes. The report has been questioned by council officers and rubbished by residents. Treasurer Colin Styles welcomed an inquiry into the impact of the CTLR, adding: “There is all this new building going up, but the people who move in aren’t going to be using the CTLR to get to and from Perth. Representing Rivertree Residential at Monday’s pre-inquiry meeting talks, James Findlay QC said there was a “serious dispute” over traffic matters. The public inquiry is set to begin on Monday June 24.